Effective, lightweight splint used to increase forearm rotation. The LMB Wire-Foam™ Pronation/Supination Splint may be used for positioning or restoring forearm rotation post-operatively or following a fracture or crush injury. 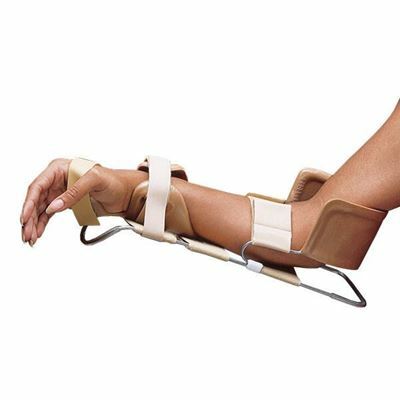 This lightweight forearm splint supports the elbow at 90°. Hook and loop fasteners hold the forearm in pronation or supination. Elastic may be used for dynamic traction. Fits either the left or right arm. Latex free. To size, measure length from the olecranon to the volar wrist crease.